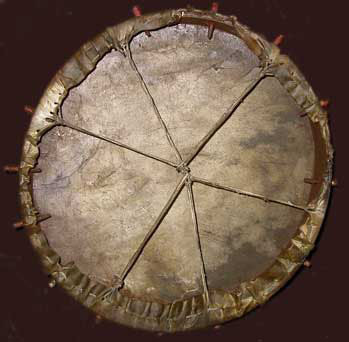 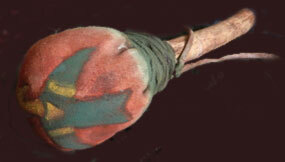 SIOUX DRUM (18 inch) - museum replica - buffalo rawhide, clay paints, arrow shafts, sinew, brain tanned deer skin, buffalo fur, etc. 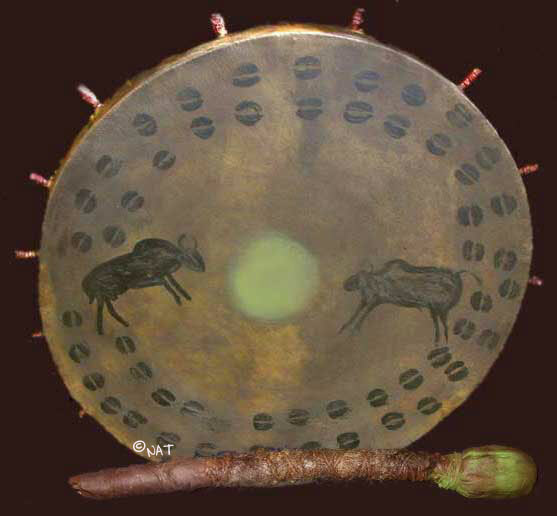 The image reflects protective bear power. 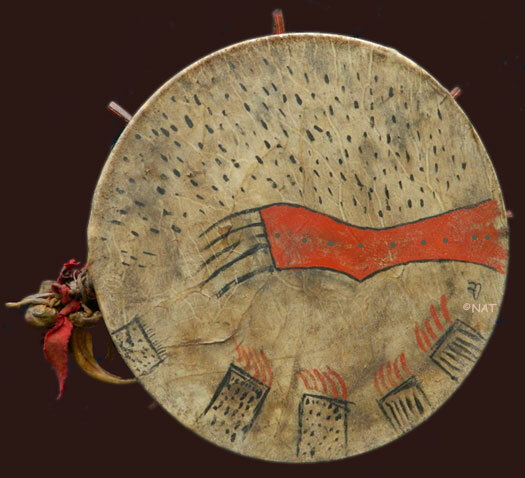 The dominant red paw seems to be warding off enemy fire and protecting other bears represented by the smaller bear paws. 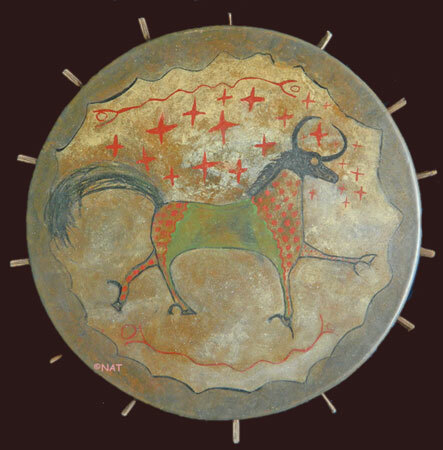 Plains warriors recognized the strength and courage of the Grizzly and sought to acquire some of its power of the bear for themselves in dreams and in visions. 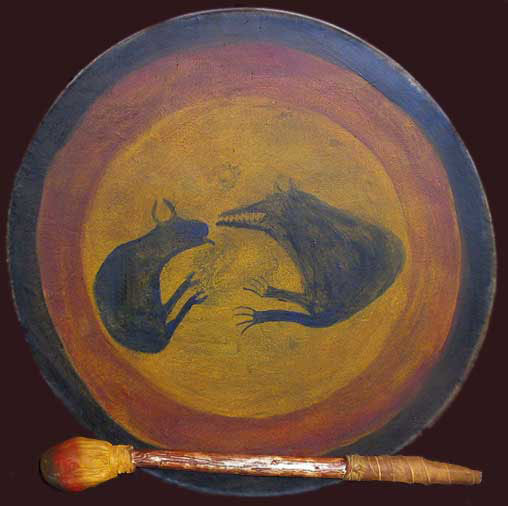 Elk rawhide, wood, clay earth pigment paints, deer skin, buffalo fur, other items for medicine bags, cotton calico, hide glue, artist Grizzly Bear claw etc. 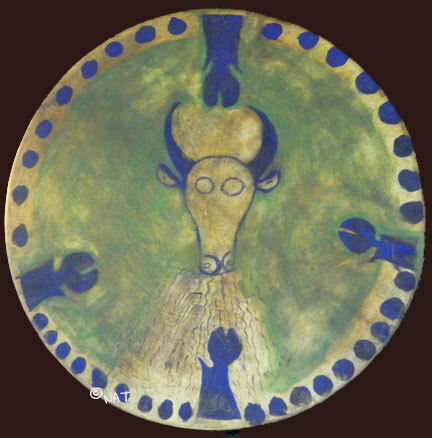 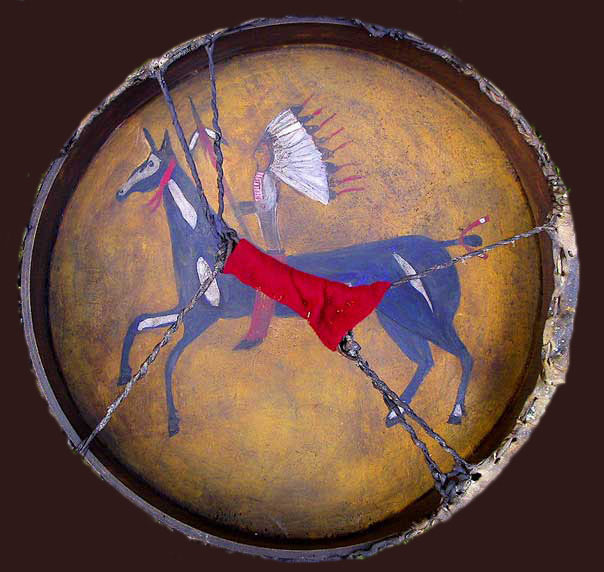 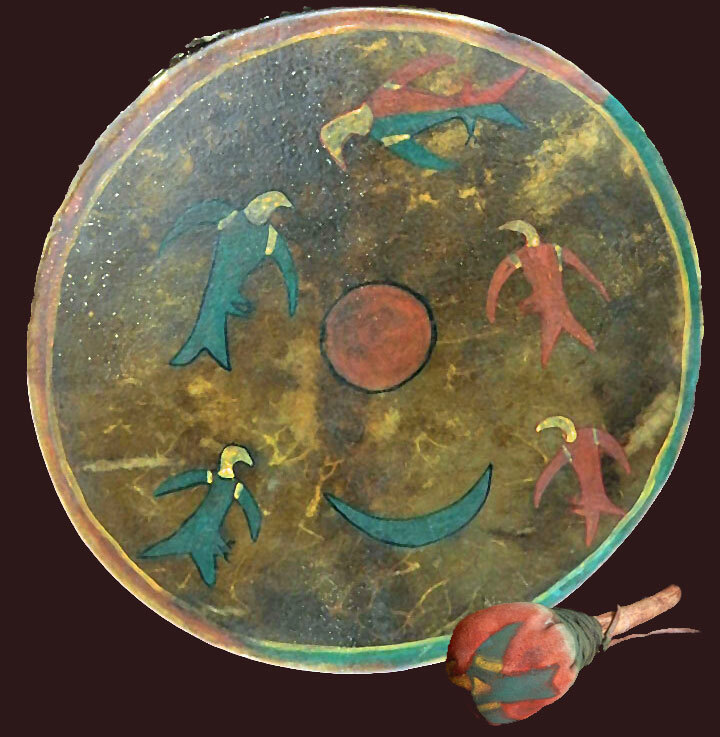 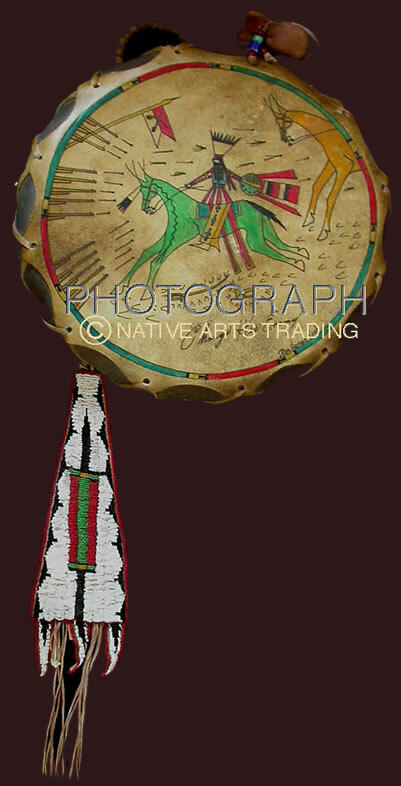 Although the imagery of this drum is based on an 1870's Ghost Dance Shield, we have not replicated it in full as not to dishonor the vision of the original owner. 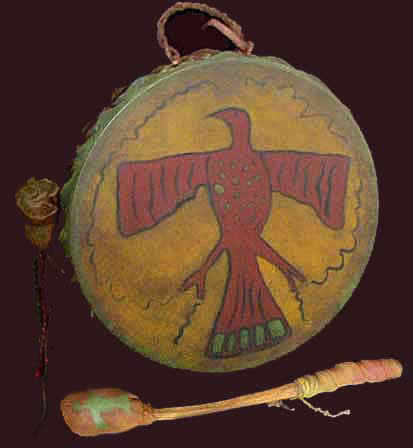 double sided drum features and Arapaho Thunderbird painted with clay paints, buffalo medicine bundle with buffalo hair (from Tanka) and some old trade beads.